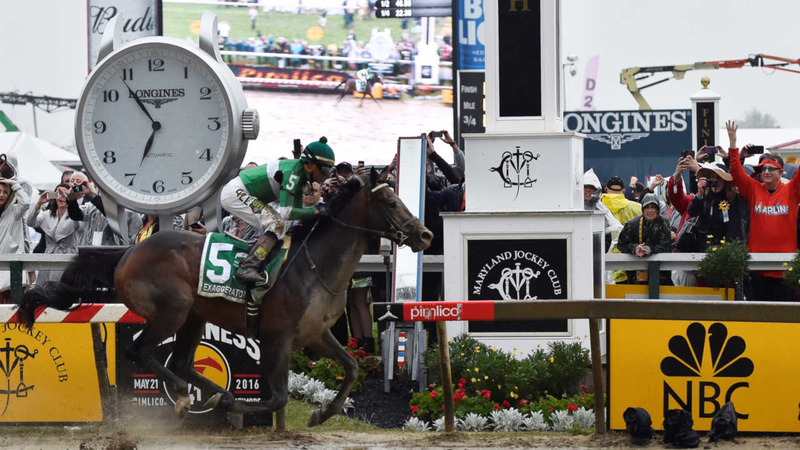 Exaggerator has won the Preakness, ruining Nyquist's bid to become horse racing's second Triple Crown winner in two years. Cherry Wine finished second and Nyquist- the 3-5 favorite - took third. In spite of the rain and temperatures that hovered in the mid-50s, track officials estimated the crowd to be 134,000 - a new Preakness record.